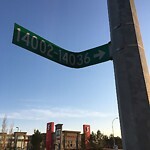 Bent sign. 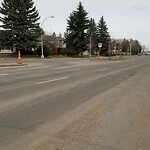 North side 23 Ave by shell. 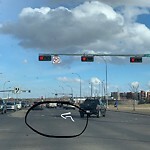 Merging lane from 50st onto manning south bound, Free flow lane sign required instead of yield sign. Vehicles stopping instead of continuing in right hand lane and merging. 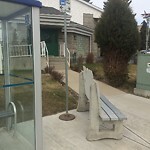 Since pad replacement, transit limit sign has not been re-anchored. 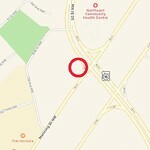 Excessive number of vehicles U turning on 28th Avenue SW at Chappelle Boulevard to access Tim Hortons, especially in the morning. We need a no U turn sign here.